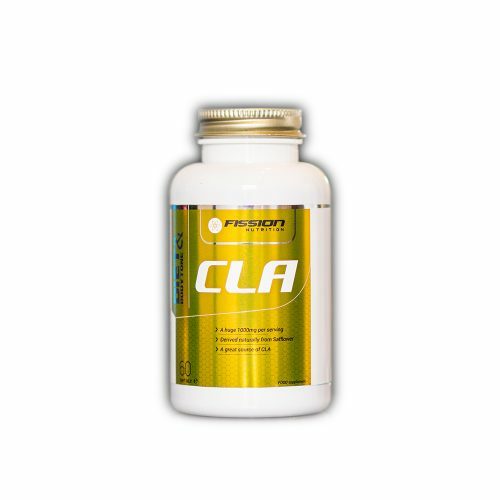 BCAA INTRA LEAN consists of essential Branch Chain Amino Acids. 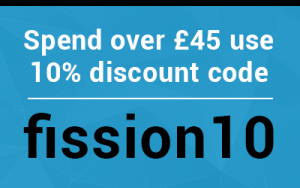 Essential Amino Acids cannot be synthesised by the body, so must be consumed. This muscle gainer protein is designed to assist you during your workout. 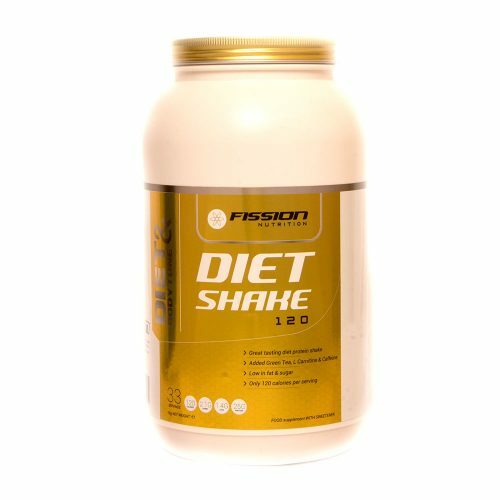 The amino acid supplements it contains help stimulate protein synthesis and reduce protein breakdown during intensive exercise. BCAA INTRA LEAN is a protein synthesis supplement combination of L-Leucine, L-Isoleucine, L-Valine with added L-carnitine, Green tea and electrolytes. 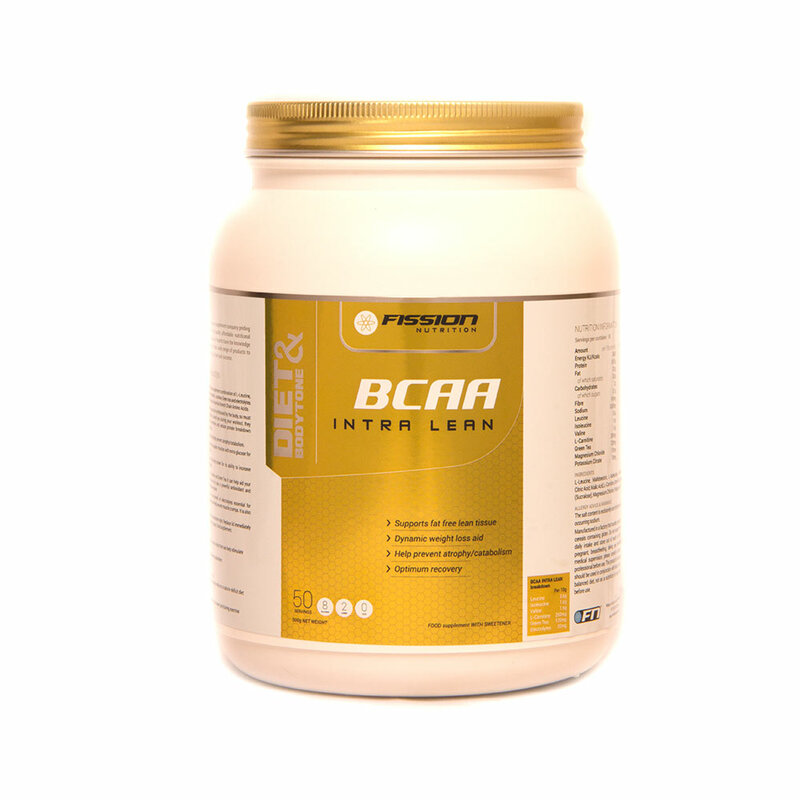 BCAA INTRA L consists of essential Branch Chain Amino Acids. Essential Amino Acids cannot be synthesised by the body, so must be consumed. Designed to assist you during your workout, they help stimulate protein synthesis and reduce protein breakdown during intensive exercise. With the addition of L-Carnitine and Green Tea it can help aid your weight loss goals. Green tea is also a powerful antioxidant and supports a healthy immune system. L -Carnitine – muscle growth benefits – There is evidence that L-Carnitine can improve oxygen, hormone and energy delivery to muscles by boosting nitric oxide levels which is desired in when trying to build muscle. L carnitine increases the amount of testosterone receptors inside muscle cells, this is known as androgen receptors and the more of these you have in your cells, the more testosterone can be used to stimulate muscle growth. BCAA INTRA LEAN is one of the best bodybuilding supplements with the benefit of electrolytes essential for hydration, restore balance and help prevent muscle cramps. As a whey protein isolate, it is also rapidly absorbed. 500g Powder. Best before see bottom right. Replace lid immediately after use. Store in a cool dry place. Food supplement. L-Leucine, Maltdoextrin, L-Isoleucine, L-Valine, Flavouring, Citric Acid, Malic Acid, L-Carnitine, Green Tea, Colour, Sweetener (Sucralose), Magnesium Chloride, Potassium Citrate. For Optimum results take TWO servings per day. The salt content is exclusively due to the presence of naturally occurring. Manufactured in a factory that handles: peanuts, eggs, nuts and cereals containing gluten. Do not exceed the recommended daily intake and store out of reach of children. If you are pregnant, breastfeeding, taking any medications or under medical supervision, please consult a doctor or healthcare professional before use. This product is a food supplement and should be used in conjunction with food as a part of a healthy balanced diet, not as a substitute for food. Always read label before use. Great product to assist in my training, my energy levels are maintained during my work out, I love the flavours and the. Great product to assist in my training, my energy levels are maintained during my work out, I love the flavours. Been using this product for a while now and love it. Flavour is good although a little sweet. Seems to be providing exactly the boost I needed for quicker recovery and preservation of muscle mass. I’m seeing impressive results and increased capacity on heavy weights and reps with a significant reduction in BF% and better definition. Perfect for drinking during training, especially when training fasted in the mornings. I can tell a difference when I drink it and don’t feel as tired.